The College will host a scholar's talk about how an obscure punctuation mark has potentially affected the interpretation of Chaucer's "Canterbury Tales." 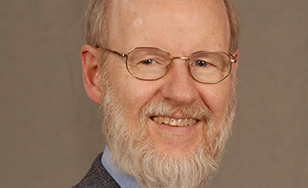 Retired English professor Dr. George Killough will discuss "Mid-Line Punctuation in the Best ‘Canterbury Tales' Manuscripts" at 3:40 p.m. Friday, Nov. 17 in Tower room 4119. Admission is free. Killough will focus on an issue often debated by scholars: a medieval punctuation mark called the virgule, a slash that appears in the poetry of the two best manuscripts of Chaucer's "Canterbury Tales." After studying more than 3,400 lines of poetry, Killough theorizes that these slashes are highly predictable in their placement, depend on syntactic and metrical factors, and come from scribes, not Chaucer. He will discuss how this potentially impacts the interpretation of Chaucer's words. The 40-minute presentation will be followed by a question-and-answer session, and refreshments will be served. This event is free and open to the public. The colloquium series provides visibility to diverse research projects by faculty members in St. Scholastica's School of Arts and Letters.